Michael Oteiku popularly known as “Nu Mic” as he’s called hails from Benue State, Nigeria. Born to the family of Mr. & Mrs. Oteikwu on the 14th of December 1987. 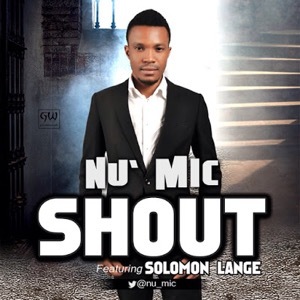 Nu Mic is a contemporary singer with a very captivating style, as he always uses experiences of daily life to spread the good news. Shout is a great song you cant afford to miss feat. Nigeria Popular artist Solomon Lange. Download, Enjoy, Be bless and share!